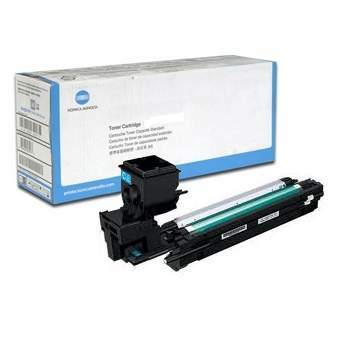 Genuine OEM Cyan Konica-Minolta A0WG0JF Toner Cartridge with High Capacity 5,000 page yield. The color laser toner cartridge fits the following model(s): Konica-Minolta magicolor 3730DN. Konica-Minolta part number(s): A0WG0JF.